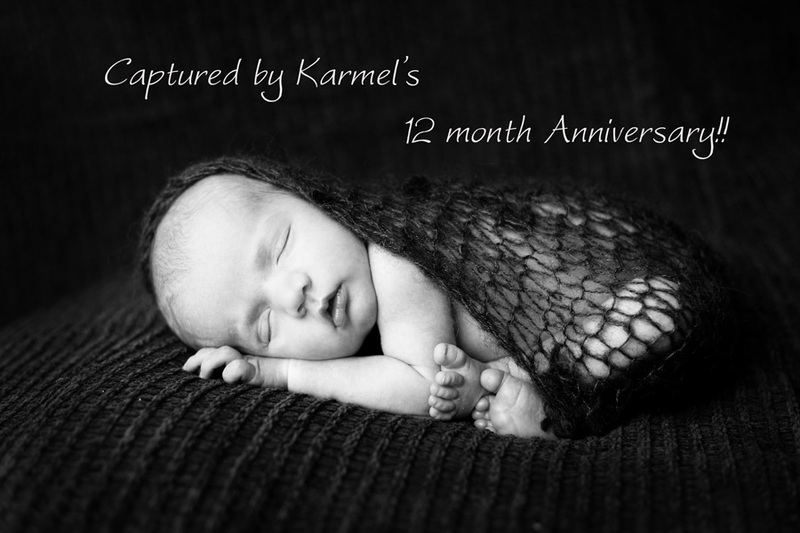 Captured by Karmel celebrates 12 months! Wow has 12 months gone fast and I have captured so many beautiful people and their loved ones! It all started in April of 2008. With a lot of hardwork and dedication for 18 months (and babysitting help from my mum) ‘Captured by Karmel’ was launched in July 2009. My style and images are Unique, Modern and unlike any other. My newborn posing has come from countless hours of practising and hardwork and I still have so many more new ideas for the next 12 months that I can’t wait to put into action! I want to thank all my clients for putting your trust in me to captured your family’s most precious moments, without you I wouldn’t be here today. I love all my little clients and every one of them touch my heart. To celebrate ‘Captured by Karmel’ first year in business I’m offering 50% off Newborn Session Fee for mummy-to-be’s that are due in the months of July and August 2010. If you are pregnant or someone you know is pregnant please pass this on to them. And of course my previous clients will not miss out. I am offering 30% off prints** and 15% off all other products** for the months of July and August!! Orders must be recieved by 31st August 2010. *Travel fees will apply to areas 40 km out of Terrigal. For interstate enquiries please send an email. **This offer is only available for clients that have had a session with Captured by Karmel before July 2010 and does not apply to free and discounted sessions.